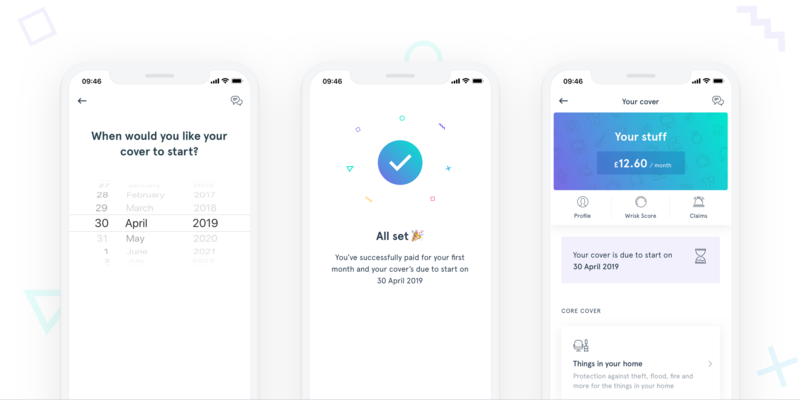 Wrisk introduce the option to start your cover on a future date. Customers frequently ask us: Can I change my start date? As part of our commitment to offer a simple, personal and flexible insurance cover, we are pleased to announce, yes, you can now choose your policy to start right away, or anytime within the next 30 days. So if you’re switching from another provider (who might not allow you to cancel anytime), or want to plan ahead for a specific event, like moving into a new place – this simple but important feature helps you sort things out in good time. We’ve made the whole process super easy (we couldn’t settle for anything less of course 😉). You can either start your policy right away, or tap ‘change’ and select your preferred start date - done. ⚡️Top tip: Don’t leave renewing your policy too late. Here’s why: Some insurers tend to penalise people with higher premiums the closer they are to their next start date. Bonkers, we know… and certainly not something Wrisk has adopted. We’ll take your first month’s payment at that point, with your cover only coming into action on your chosen start date. Once your policy starts, your monthly payments will be automatically taken from your saved card on the first of each month. Giving you nothing further to worry about. And if your circumstances change, or you just change your mind, you can still cancel and get a full refund, up until 2 weeks into your policy – no fees, no gotchas. More on cancelling your cover (hint: it’s as simple and fair as it gets). As always, let us know what you think, and if you have any suggestions for future enhancements 🙂.